Posted by kewlhunter in Health food, Shopping Online, Technology. I was watching an episode of The Doctors when one of the Doctors mentioned that just about the best thing you could do for your health was to drink a smoothy with Macro Greens in it. I decided to try some and bought some from a local website. I immediately noticed a difference and have been having it daily now for about 3 months now, and cannot recommend it highly enough. I have increased energy levels, and generally feel a lot healthier. Before I tried it I wouldn’t have believed that one drink a day could have such a noticeable effect.. The Macro Greens nutrient rich super food is made by MacroLife Nutrients, and when I was looking for them I found out none of my local health food shops stocked them. I went online and found an Australian site that had them. They also had another product from the same company called Miracle Reds, which they call a cardio antioxidant super food. I decided to order both and am glad I did if for no other reason than the Miracle Reds add a nice berry flavour to my smoothy, and no doubt are also contributing to my feeling of being healthier since taking them both daily. Posted by kewlhunter in 3D, 3D Glasses, 3D TV, Computer, cool, IPTV, kewl, LED LCD TV, Movies, Online, Sony, tech, Technology, Television, TV, Video. Normally I go out and buy the stuff I review here, but this review is a little different. This time, the good people at Sony were incredibly generous, and loaned me a TV for a few weeks, to review the IPTV functionality (if I decided wanted too). The review is meant to be just about IPTV butI have to let you know about the TV too, as it was a fantastic piece of technology. I am guessing most people are thinking to themselves *what the heck is IPTV when it’s at home ? * IPTV is just TV or Video content, that arrives via an internet stream, rather than over the air, like traditional *free to air* that we have had for years, arriving via an antenna on our roofs. One thing that separates SONY’s IPTV from many other IPTV offerings from other brands, is the depth of the content. Many brands of TV have IPTV functionality, but when you dig below the funky interface, there is little content. That’s a bit like having a great audio system but not having any music. It’s very clear Sony have gone to a lot of trouble to not only provide first rate IPTV functionality, but also to secure a lot of content. When I reviewed the TV I had access to well over 20 channels of IPTV content, and that list is growing all the time, with SONY planning to add more and more channels over time. One of the great uses of IPTV is to provide catch up TV services(this is when a TV station makes programs that have already been aired, available to be streamed via the internet). I made use of these several times. When faced with typical Melbourne bad weather day, instead of being stuck with just Daytime TV to watch, I was able to stream some great Documentary’s, I had missed when they were broadcast on free to air TV in the weeks prior. Now these same catch up TV services are often available directly on your computer, but SONY has done deals with the TV channels to get a higher quality streams, from different servers, that look great even on a massive 46″ TV, like SONY had loaned to me. These same services, when watched a on a small laptop screen, can often only be viewed in a small 3″ window, as going full screen can make them unwatchable. SONY also has IPTV channels for everything from dining, travel, fashion, movie previews, to how to channels and even a wiggles channel for the kids. Some of these have a lot of content while some are a bit thin, but no doubt these will be added too, over time. SONY also has what’s known as Video on demand services too. So when you want to watch a movie, instead of jumping in the car and heading to the video store, you simply select it from the screen(you can even preview it), and watch it in HD(high definition) or SD(standard definition). The HD movies are perfect but an SD movie I watch had a little noise. It wasn’t a problem, and was perfectly watchable, but IMO it is worth paying the extra for the HD version. Well the first thing I have to say about this TV is WOW! This 200Hz LED/LCD TV has a stunning picture. The colours are incredibly faithful with really deep blacks and fantastic contrast. This TV uses SONY’s Opti-contrast LCD panel, and it is the one used in all their high end TV’s, and it is a clear step up from their entry level TV’s. The TV has built in wi-fi, which is really handy for most people, to access not only IPTV content but also to the pictures, and video’s on you PC’s, on the same network. The technology behind this is called DLNA. DLNA is just a way for lots of devices to be able to share media across a network. These can be everything from TV’s, PC’s, audio systems, to HDD’s or mobile phones. The TV is a 200Hz model, and although I am not convinced anyone can see any difference over 100Hz (unless you use a test disc), it certainly can’t do any harm. The TV is also 3D, and although many people aren’t that excited by 3D, the fact movie makers like Scorsese and Speilberg are now making 3D movies, suggests to me, it is here to stay. The TV even comes with 2 pairs of 3D glasses. If you are after a great TV then the HX820 is hard to go past, just in picture quality alone. The IPTV in this and most SONY TV’s is just icing on the cake, and really does give you a few more options of content to watch. IPTV clearly isn’t designed to replace free to air or cable TV but is a great adjunct to the services we already have, and well worth the effort SONY has clearly put into making it a success. I could go into the technical features of the TV like local dimming etc but the great thing about this TV, is that you just need to look at the picture to see how good it really is. You don’t need to be an expert. Posted by kewlhunter in Alpine, camera, Car, cell phone, cool, Driving, gadget, Hands Free Kit, Iphone, kewl, Music, Sat Nav, sound, Sound System, Technology, Video. The Alpine INA-W900 Head Unit(HU), is more than just a car audio system. It brings together in one unit, Satellite Navigation, CD/DVD player, AM/FM radio, iPhone /usb player, Bluetooth hands free kit, and it does it better than any HU I have ever used before. I have had a few devices that are meant to be used with the iPhone but none that have worked as well as this HU. I have run the iPhone connection cable into my centre console, so its really easy to get to when I am in and out of the car. The phone is also paired via bluetooth, so even if I haven’t connected the iPhone , and still have it in my pocket, I am still able to use the HU for calls. Posted by kewlhunter in 944 turbo, Alpine, Car, cool, Hands Free Kit, Iphone, kewl, mobile phone, New Car, Porsche, Sound System, Steering wheel. I have either done the best thing I have ever done, or the dumbest, and only time will tell. I have purchased a new(old) Porsche. I had been planning to buy another type of vehicle for sometime, but one day some one parked a red 944 outside my house. I had always loved the look of these classic vehicles and decided to see what they were selling for these days. Well one thing led to another and I now own a very shiny red Porsche 944 turbo. Mine is an Australian delivered model, one of only 110 sold here over 2 years(we never got the 87 model). Mine was originally bought in 1987 and so although registered as an 87 it is an 86 spec car. 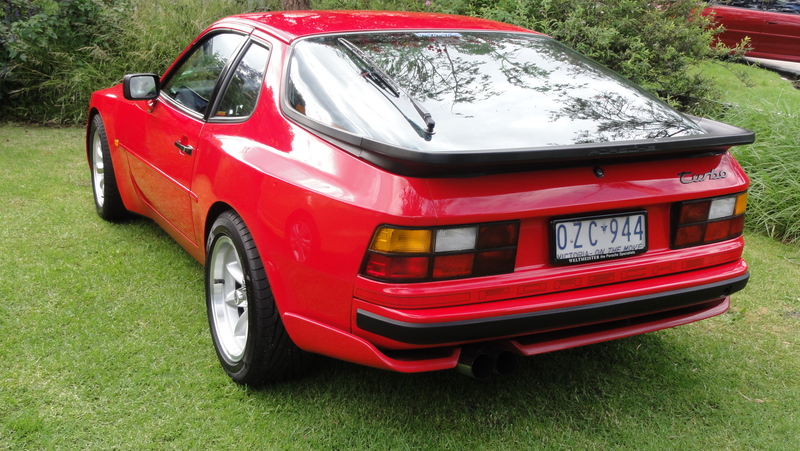 The internal Porsche designation for 944 turbo’s is a 951 but right hand drive versions like mine, are actually a 952. Posted by kewlhunter in camera, cool, Sony, tech, Technology. I got this marvel of photography just before my trip to the World Cup in South Africa, and it was the perfect travel camera. The quality of the images are just superb. 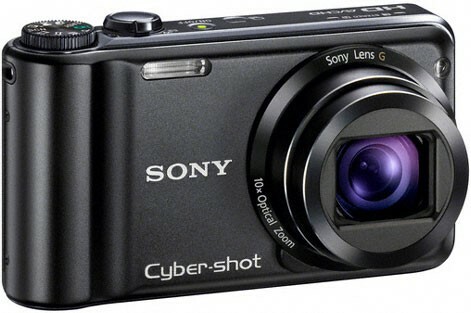 That’s not surprising as Sony DSC-HX5V features Sony’s largest Exmor-R sensor in a compact camera. The Exmor-R sensor has the circuitry on the back of the sensor, which allows the sensor to receive 30% more light, compared a standard sensor with circuitry on the front, as used in other brands of cameras. Posted by kewlhunter in cool, gadget, kewl, tech, Technology. When I first started this humble Blog, I was stoked to get 40 vistors in its first month. I couldn’t believe that more than one person a day was reading my posts. Last month I had over a 1000 visits, so I thought I should celebrate this minor milestone with a short post :). I guess I am not the only one who is into cool stuff. I still have a million things I want to write about, so I will keep you all updated, as I go.